Are you thinking about utilizing light pole banners for an upcoming project or promotion? If so, you’ve undoubtedly asked yourself, “What will they look like?” Well, to help you answer that question, the art staff at BannerFlex can now show you exactly how your banners will impact viewers! Recently, we’ve helped cities make their decisions by providing “before and after” photographs of what their areas would look like after banners are installed. One example, the city of Monona in Wisconsin supplied us with several pictures of a major intersection. They were considering flying banners to invite tourists and display their love for their city. In the past, Monona had used smaller banners to promote their history and generate a sense of pride throughout the city. In this case, however, they were concerned about how the banners would look when hung adjacent to their main thoroughfare. After they contacted us, we asked our in-house sales rep, Corey Rolfe and our industrial designer, Eastan Bakka, to create virtual installations. 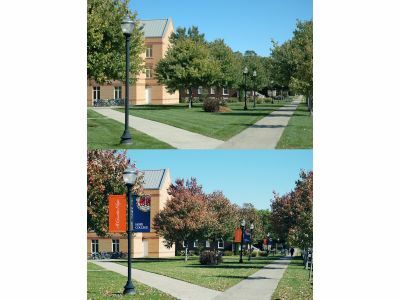 These virtual installations, created in Photoshop, showed Monona exactly how the banners would look, right down to the correct lighting and perspective. As a result, Monona purchased the banners, along with our BannerFlex hardware, to install single banners on many of the city’s light poles. We hope this has helped to explain how BannerFlex is willing to go the extra mile to help you “mock up” your potential banner projects. 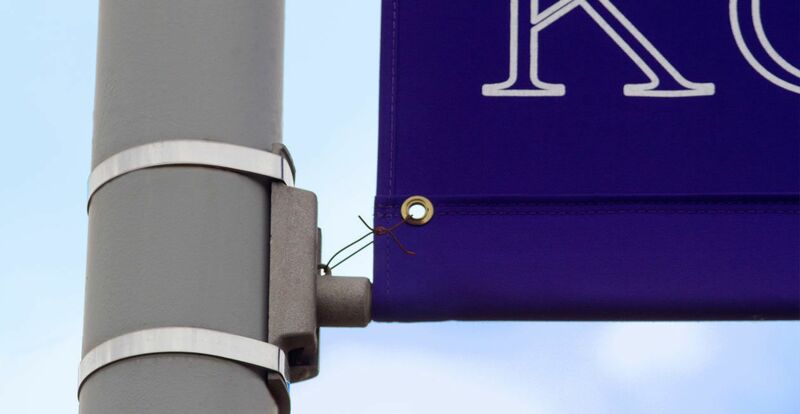 If you’ve been considering such a project, be sure to reach out to us and let us know your concerns… we’d be happy to show you how great our banners will look!